In the past, researchers have paid limited attention to this fact, which has led to a dearth of modern anthropological, historical and archaeological investigations as well as insights regarding this period of proto-globilisation in this region of the world. Research directed by María Cruz Berrocal is starting to fill this gap. Cruz Berrocal's archaeological excavations at a settlement in northern Taiwan have brought a new perspective on the colonisation of the Pacific region to light: the small Spanish colony of 'San Salvador de Isla Hermosa' was an early globalised spot. María Cruz Berrocal is a Research Fellow at the Zukunftskolleg of the University of Konstanz and associated with the Department of History and Sociology. The focus of her investigation is a settlement on the small Island of Heping Dao, which belongs to the city of Keelung in the north of Taiwan. The excavations, carried out at this site since 2011, have recovered important archaeological artefacts. They document the history of human habitation on the island: from early history onwards, the region played an important role for Taiwan and was also influential during the age of European colonisation. 'San Salvador de Isla Hermosa' was founded as a Spanish colony on Heping Dao in 1626 and was later taken over by the Dutch. The Chinese eventually annexed the territory, followed by Japanese occupation until the end of World War II. The Spanish lived in the settlement from 1626 until 1642. The excavations by María Cruz Berrocal's international research group provided considerably more evidence of early European presence and influence than expected. 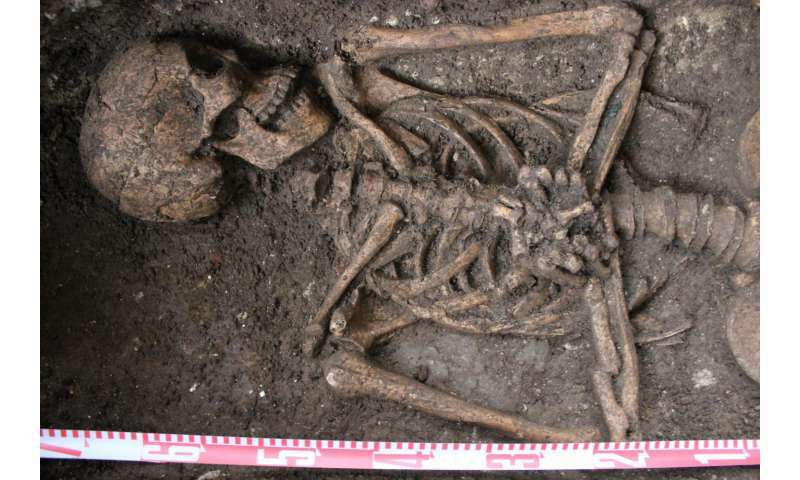 The archaeologists discovered the foundations of a church or Christian convent and the associated cemetery. "Our findings demonstrate that this colony did not play a marginal role. Taiwan was a juncture for commercial relations in the Pacific region and therefore a hub for extensive interaction," explains María Cruz Berrocal. The excavations, with the most recent taking place from September to November of 2016, have so far uncovered six burials and other dislocated human remains near the church. In November 2016, the archaeologists unearthed a skeleton of a deceased person who was buried with hands folded in prayer. 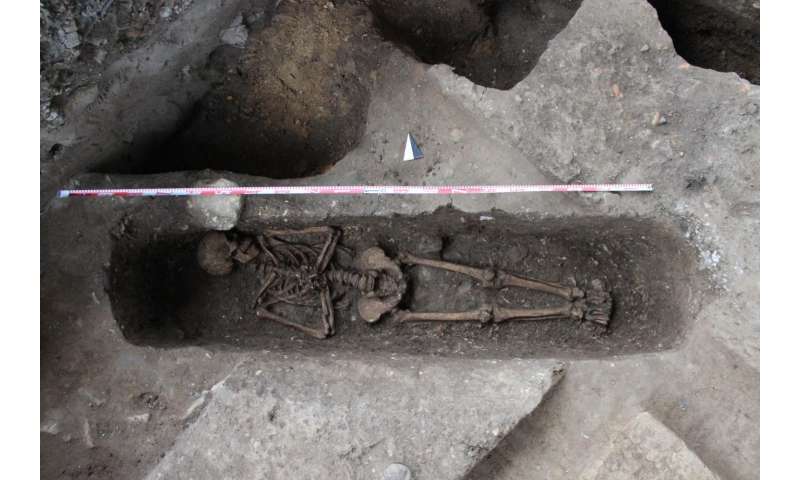 "These are the first European burials from this time period discovered in the entire Asia-Pacific region and they contain the first documented human remains. The colonial cemetery that we unearthed is also the oldest in the region," says María Cruz Berrocal. Analysis of the human bones and especially the teeth is revealing a multifaceted picture. Compelling biographical information such as geographic origin, diet and medical history can be gathered through isotope and botanical analyses of dental remains as well as the examination of the preserved DNA of pathogens. The isotopic analysis is being carried out by Dr Estelle Herrscher from the CNRS, France and the botanical analysis by Dr Alexandre Chevalier from the Royal Belgian Institute of Science. Johannes Krause from the Max Planck Institute for the Science of Human History in Jena, Germany is analysing the human and pathogen DNA. Plant remains are also providing important information since many new plant species were introduced into the Pacific region by Europeans. Initial findings are indicating that the human remains most likely belong to people who came from Europe, Asia and possibly even Africa. Since they were also interacting with the native Taiwanese population on Heping Dao, it is important to carry out further research here in order to discern the impact they experienced as a result of European colonisation. Additional analyses will provide a more comprehensive picture of the early history of this region. "The results demonstrate that we are dealing with an early globalisation hub here. The Spanish-style construction of the church illustrates that this colony was just as important to the Spanish Crown as other colonies established elsewhere, as in the Americas, for example. However, its attempt to gain a long-term foothold in the Pacific region was ultimately unsuccessful. For this reason, historians have since assumed that Taiwan only played a marginal role. But that is not the case," concludes María Cruz Berrocal.